The capital city of India has a whole host of colorful sights. Discover the rich history of one of the world's oldest democracies and explore New Delhi with our top tips! 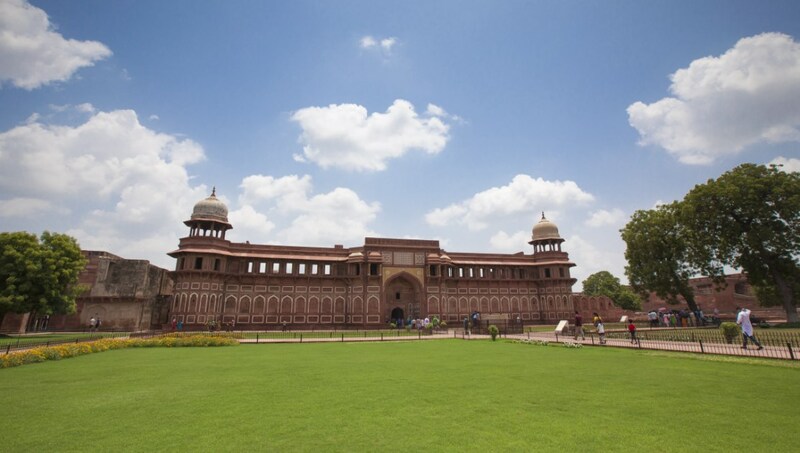 The truly impressive Red Fort is a must-see on any trip to New Delhi. The 17th century structure is made from red brick and is visible from the motorway nearby. Take a guided tour to get the most out of the experience. 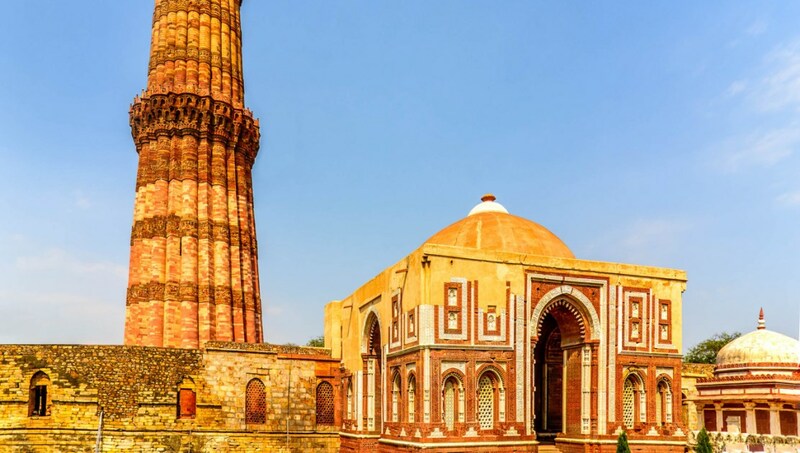 The largest Minar in Delhi, Qutb Minar is a tower that symbolizes the victory of Islam over Delhi's last Hindu kingdom in the 12th century. The 73 meter high tower houses the first mosque to ever be built in India. While you're in Old Delhi, take a guided tour of the area. You'll discover sights, sounds, smells, and tastes you've never experienced before. Located in the heart of Delhi's Metro system, Chandi Chowk is a great place to get some shopping done. Check out Janpat, a local market full of Indian goods and make sure you haggle! 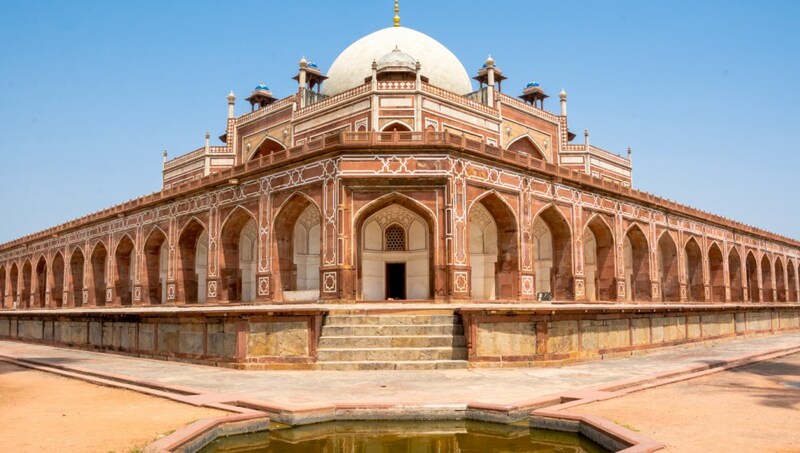 Designed by a Persian architect, the palace where Mughal Emperor Humayun's Tomb is located is a beautiful homage to symmetry. Walk through the grounds and take in several monuments dedicated to lost members of the Emperor's family. 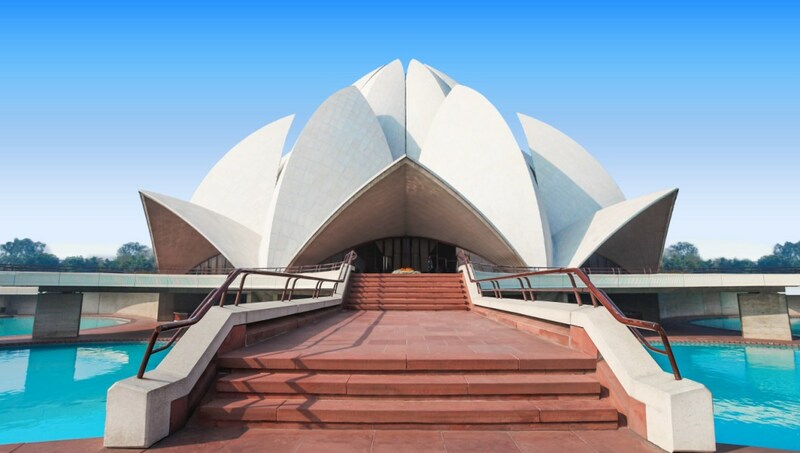 The Lotus Temple is a house of worship for the monotheistic Bahá'í Faith. Shaped like the Lotus flower, the architecture of this sacred site is quite remarkable. 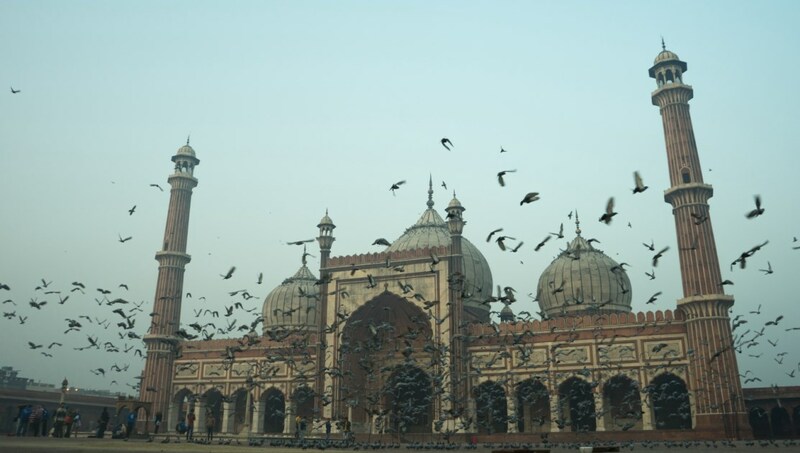 The largest mosque in India, the Jama Masjid is another structure built during Mughal rule of the 17th century. As you walk around the mosque, notice the intricate carvings on almost each and every wall. Akshardham has some of the most intricate artwork along its walls. 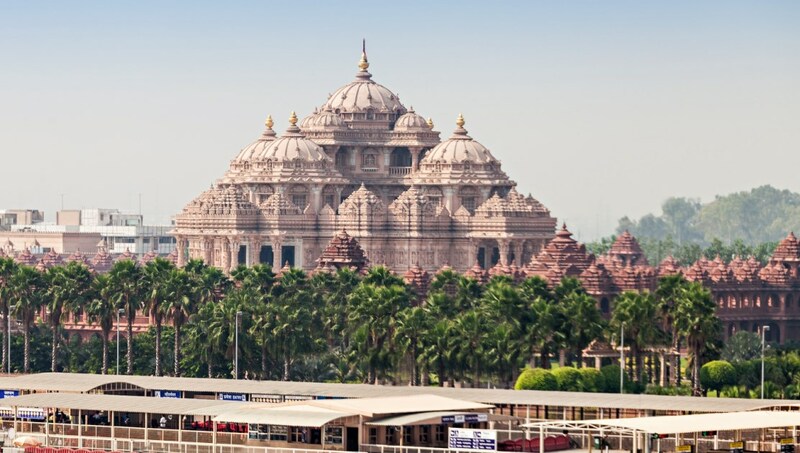 The huge architectural marvel is a tribute to some of the finest Indian architecture. History buffs will enjoy the short films and historic exhibitions inside. 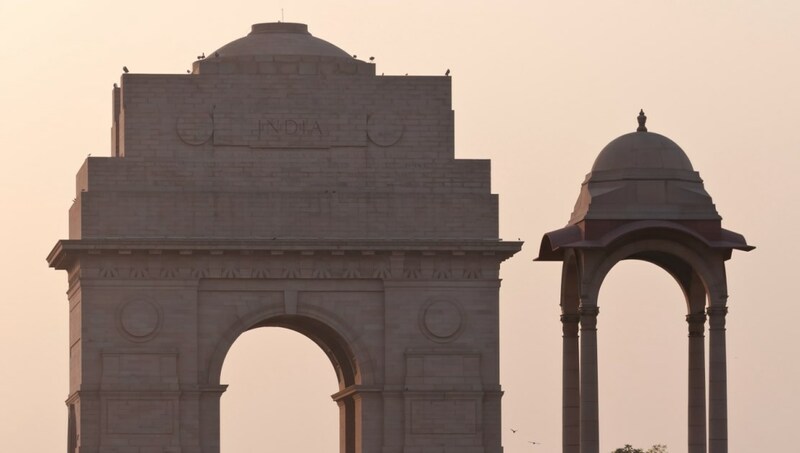 A tribute to the 70,000 Indian soldiers who fought in World War I for the British army and did not return home, India Gate is a 40 meter gate and a true landmark in New Delhi. 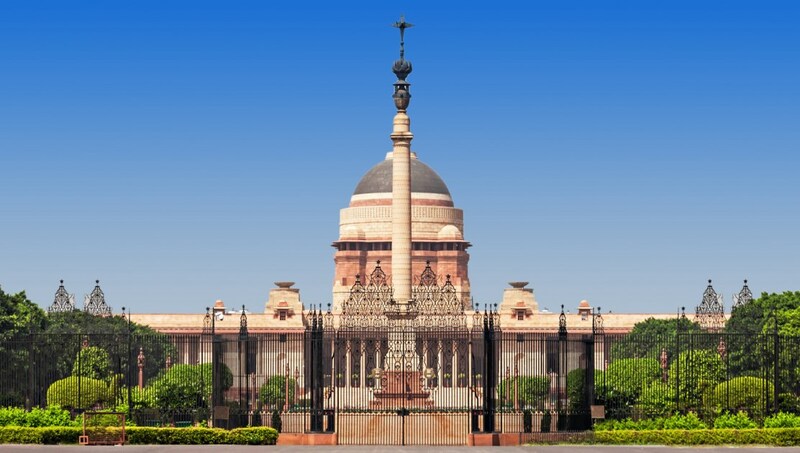 Rashtrapati Bhavan is the home of the President of India, and is the largest presidential residence in the world. 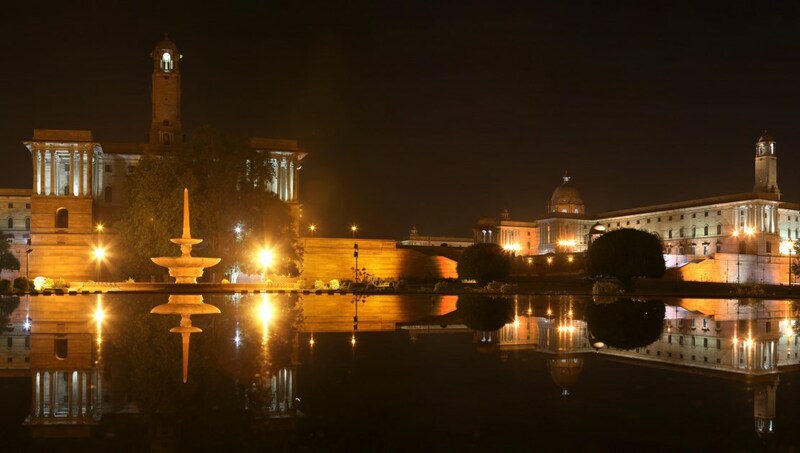 The gardens belonged once to the Mughal empire, and are perfect for an evening stroll. Do as the locals do and drink some chai in the afternoon and have some daal, or lentils, with rice and vegetables. For dessert, try Galebi, a fried orange treat that resembles fired glass and is best when dipped in hot milk. How to get around New Delhi? For short distances take a rickshaw, and make sure to bargain your rate before you step on. You can also take small motorized taxis called Auto-rickshaws, the Delhi metro system, or taxis. Buses can be quite overcrowded, but they are an option as well. The best time to visit New Delhi is between November and March. The weather is dusty, dry and cool but the temperature never drops below 60 degrees. The summers in India can be extremely hot and when August hits, so does the monsoon season. 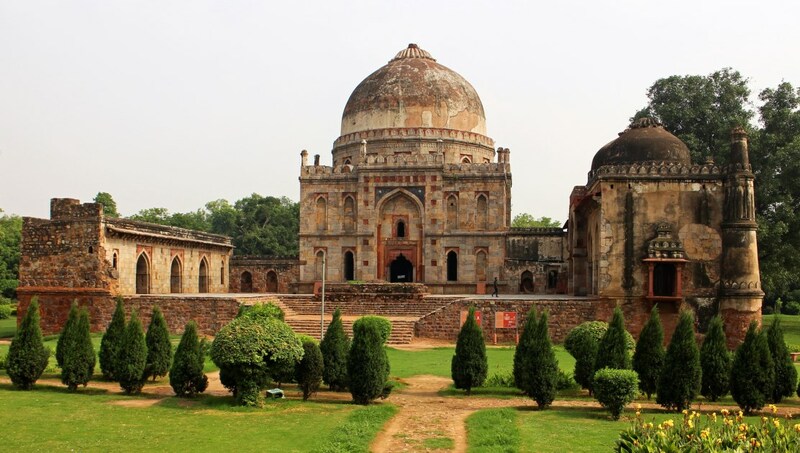 Want to discover all there is to do in New Delhi? Click here for a full list. Incredible experience, with a very friendly and knowledgeable guide. I completely recommend this experience. We had an unforgettable time at the Taj Mahal, no pressure at all to buy anything (photographs etc), to the contrary our guide really helped us navigate through this! The driver was also very professional and the car very clean. Highly recommend. 5th time at the Taj Mahal - Still as impressed as ever! I visit India very often, if I am travelling with friend, I always make we make a whistle stop to the Taj and Agra Fort. Landing in Delhi at midnight, we were promptly pick up at 3am. Arriving into Agra bu 6h30. We were guided around the Taj Mahal and Agra Fort - with an interesting young guide. We saw everything we need to, without being forced to visit shops or factories. We left and were back around the pool in Delhi by 15h30. There is no need to spend any more time in Agra. It was the perfect trip! My guide (Sadik) was very professional, informative, and competent. Sadik, was educated, a wealth of information and tended to my needs as a visitor to Agra. He made me feel safe and let me know what to expect as we toured that day. If I wanted to see something, he would go out of his way to do so. My driver was excellent and used a quality large vehicle. we had a wonderful time on our street food and walking tour. our guide was prompt, well organized, efficient and fun to talk with. his English was excellent and he had a lot of interesting things to say about the area, its history and architecture. we particularly enjoyed both getting to use the subway and a rickshaw. thanks for a wonderful introduction to old Delhi. We had already seen a few of the sights on a tour the previous day and so our guide didn’t hesitate to alter his initial plan to ensure we saw new things. The downside of the day was the rain which sadly meant not as much walking as we hadn’t any wet weather clothes with us. The highlight was undoubtedly the Ghandi memorial for us - what a guy! The guide and driver worked well together and we felt very safe with them.